Thanks to the initiative of the bass player Carmelo Siracusa and the guitar player Antonello Condorelli, Orion Riders were formed in May 1997. Soon after, the drummer Tony Zappa, the guitarist Davide Arcifa and the vocalist Vincenzo Di Stefano, became members of the band. The group, inspired by famous heavy metal band, like Iron Maiden, Judas Priest, queensryche, Helloween, promotes its own music in Sicily and has so far attained a certain amount of consent thanks to sicilian defenders. In January 1999, the band recorded its first Demo-Cd intitled "Brothers Of Another Time". The sound of "Brothers" is very articulated in addiction to the power rhytmics of german power metal, we find a thick net of bass and guitar's riffs and solos, which makes the tracks always different. Trumpets, violins and perfect orchestral parts get the Orion Riders's sound very interesting. Besides that, a melodious voice gives a certain enjoyable feeling to the songs, since the first listening. "Brothers" was excellently reviewed by national Magazines such as Metal Shock (Top Demo), Metal Hammer, Power Zone. In September 1999 the guitarist Davide Arcifa was replaced by Riccardo Failla, who has brought the band's music a true dual guitarwork not nonetheless changing the original Orion Riders's style. 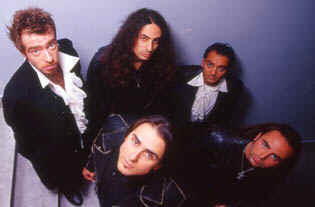 After the success of "Brothers" and some live shows across Sicily, Vincenzo Di Stefano was replaced by Alessandro Di Grazia.They start recording on March 2000 the second Demo "Leave". The sound is quite different, more energic and progressive, and surely more mature. After some concerts the singer leaves the band to be immediately replaced by Joe Lombardo. This Line-up is the last one! 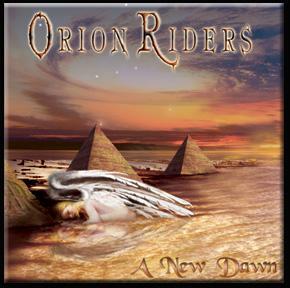 Orion Riders start recording during October 2002 at Riccardo Samperi's TRP studios (Catania - Italy) their first full lenght CD titled "A New Dawn". Recording session, mixing and mastering, Orion Riders finished on March 2003. They started promoting and after some months they signed an agreement with Lion Music, important Finnish Label.The official release will be out all over the world on January 2004... This is a new Dawn for Orion Riders.